Ivey Ghee moved to the Triad in 1999, on a basketball scholarship to Elon University. But she found her community a few miles to the East, in a downtown gay bar Greensboro club called the Palms. 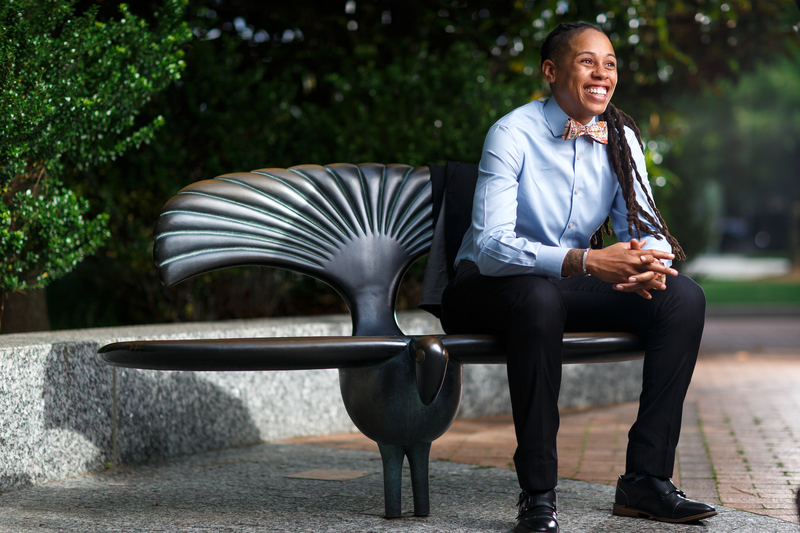 Today, Ivey’s become an important leader in the local LGBTQ community, serving as the new community outreach coordinator for the Guilford Green Foundation (GGF). She’s been a long-time volunteer for the nonprofit, which aims to “unite communities” and provide support to gay, lesbian, bisexual, and transgender people. She started out volunteering to pop popcorn at the organization’s regular drag queen bingo events, and later served two terms as a board member. Ivey first learned about GGF while working for Quaintance-Weaver Restaurants and Hotels, a strong GGF supporter. She often served the organization’s leaders, and was inspired to see successful gay professionals. In her role at GGF, she’ll be building new relationships in the community and rebuild old ones. It’s an important position, as the nonprofit is currently working to expand and offer programming. She said it’s a natural fit, given what she learned at Quaintance-Weaver about service. “It was easy to make the move to GGF because it is a genuine service to my community,” she says. Ivey is also passing the professional skills she learned at Quaintance-Weaver by teaching a hospitality and customer service program at the nonprofit Welfare Reform Liaison Project. The program focuses on helping individuals gain skills they can use to find a full-time job.